Now that we have just gotten through the tax season, I’m sure taxes are the last thing on most peoples’ minds! However, one detail regarding them can still affect business owners at any time of the year: the tax information included on your merchant account. 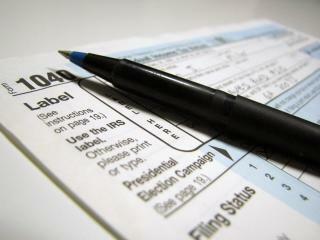 Do you know why it is so important for your merchant account to contain the correct tax information for your business? There are actually a few reasons, and all of them provide serious motivation for you to get this information updated as soon as possible. 1. If you are just beginning the application process to open a merchant account, providing the correct tax info is often extremely helpful in making the approval process go much smoother. Underwriters often look into a business’ tax status when doing their research on the company and discrepancies here can cause additional documents to be requested, making the process take a little longer. 2. Many processors actually apply a fee to merchant accounts with incorrect tax information. eCMS always strives to help all of our merchants avoid any unnecessary fees, and this is certainly one that can be prevented. 3. The most important reason is that invalid tax information can actually cause your merchant account to be subject to backup withholding required by the IRS at a whopping 28%!!! Once this backup withholding is initiated, neither your eCMS rep nor your processor can assist as the matter can only be handled directly with the IRS. Backup withholding usually isn’t applied until the tax info remains invalid for a few months, though this time frame can vary. As you can see, it is certainly in your best interest to make sure that valid tax information is included on your merchant account. We have ran multiple campaigns in the past to contact merchants with invalid tax information, but this is not always something we can alert you to before the fee or withholding are applied. If you are at all concerned about what your merchant account has for your tax information, please feel free to call us at 1-888-277-3332 and check on its status.